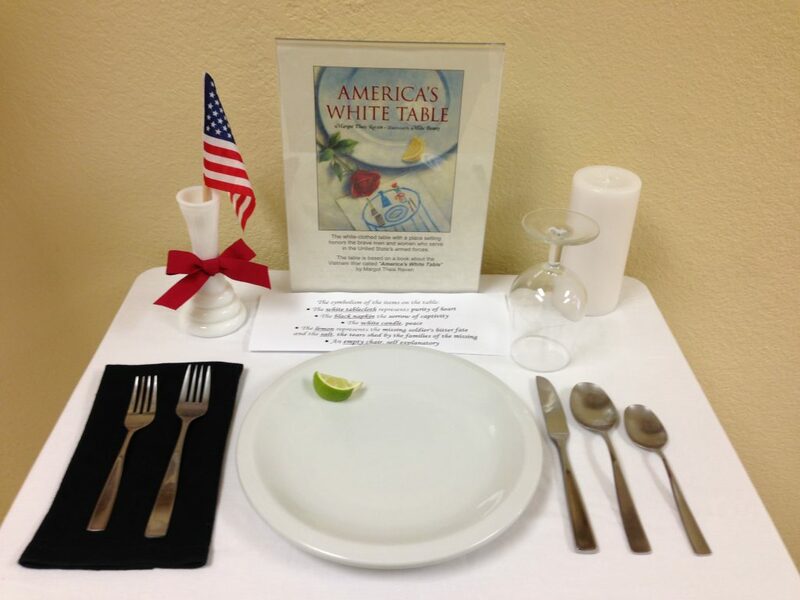 Based on Margot Theis Raven’s book America’s White Table, Florida National University set a table with a white tablecloth, a black napkin, a plate with a slice of lemon with salt, a turned-over glass, a white candle, and an empty chair as a tribute to all veterans and members of the U.S. Military. 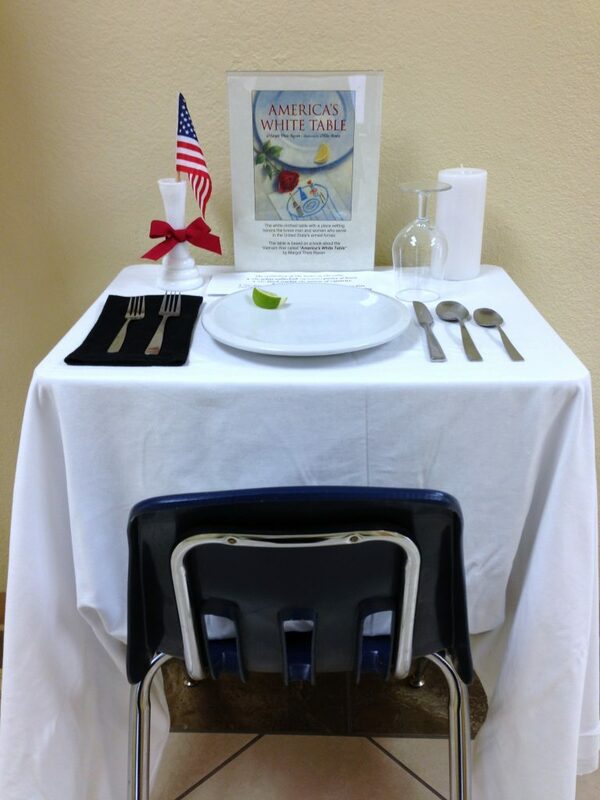 America’s White Table tells the story of a little girl who helps her mother set a remembrance table in her house honoring her uncle who served in the Vietnam War. 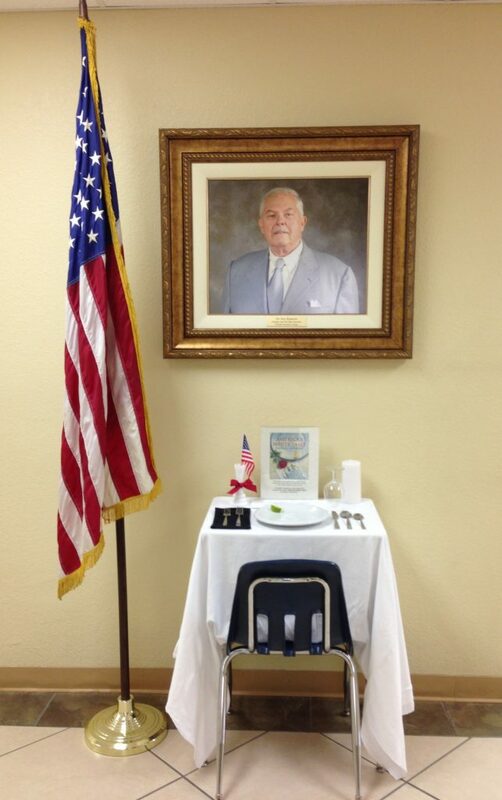 The book tells the details and history of the white table tradition. 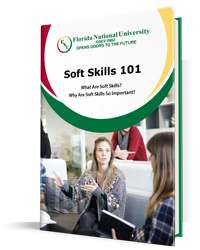 Today at noon (12:00p.m. ), Florida National University will have a minute of silence honoring all active duty US Veterans and Military Servicemen/women. We are going to make an announcement asking all to stand during this minute of silence.